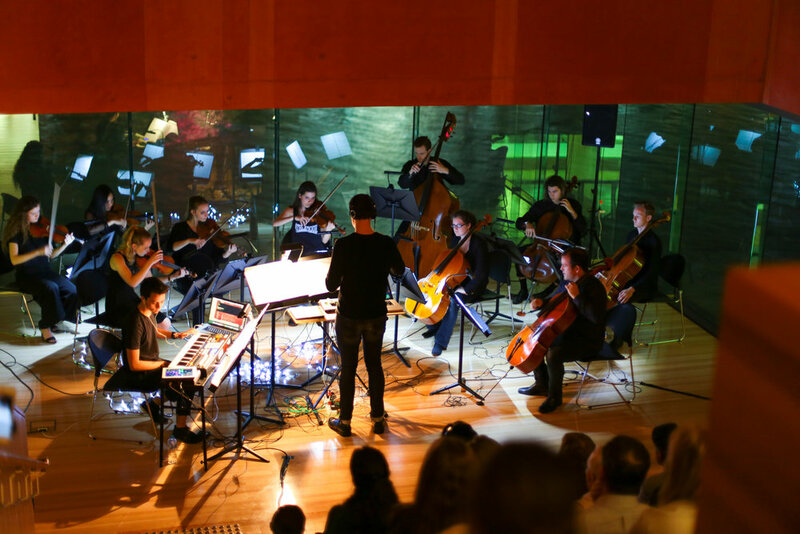 UQ Art Museum // 30th of October, 2015 || This one-off immersive art music event transformed the UQ Art Museum into a sonic and visual wonderland with an evening of newly written works for voices, piano, cello, violin, electronics, flute and clarinet. Taking inspiration from the exhibition Lightplay: Ideas, Optics, Atmospheres argo created a flowing musical journey that moved the audience through the exhibition as performers were spread throughout the venue and overlapped to create a seamless 90 minute program. The event was underpinned by touchscreen-controlled soundscapes for player piano and surround sound electronics. St John's Cathedral // 19th of March, 2016 || MEDITATIONS featured new compositions for two pianos, string quartet, soloists and electronics. 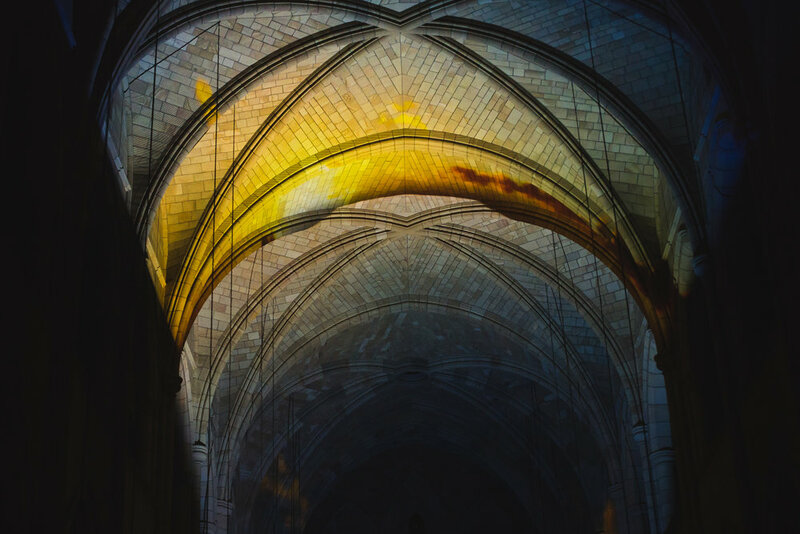 The 60 minute program was conceived of in conjunction with live visuals which were projected across the roof and walls of the cathedral. The audience sat (or lay) in the centre of the cathedral with the performers spread throughout the venue around them. Highlights of the program included Music for Large Spaces, a collaboratively written composition by Ben Heim and Connor D'Netto for two pianos placed at either end of the cathedral (approximately 80 metres apart); and Sundown a piece for solo violin and string quartet separated by 40 metres by Ben Heim. The concert was accompanied by soundscapes for live electronics and four flutes spread in the four corners of the building. The Brisbane Powerhouse // 30th of April 2016 || In partnership with the Queensland Symphony Orchestra, argo presented MACRO: an exploration of space and timbre in the iconic Brisbane Powerhouse. 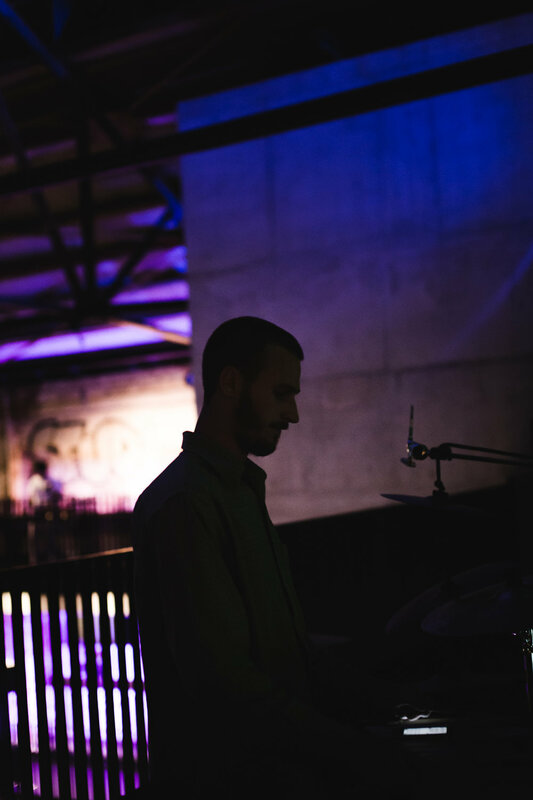 With speakers placed all around the venue and percussionists dispersed throughout the powerhouse turbine room the audience was invited to explore the heritage-listed space while a free-flowing improvisational music enveloped them. At the core of this were three performers in the centre of the venue: Simon Svoboda on cello, Ben Heim performing live signal processing on the cello and controlling the surround sound speaker array, and Connor D'Netto on keyboards. The percussionists kept in contact with the core group through instant messaging to allow shaping of the improvisations in conjunction with the electronics. 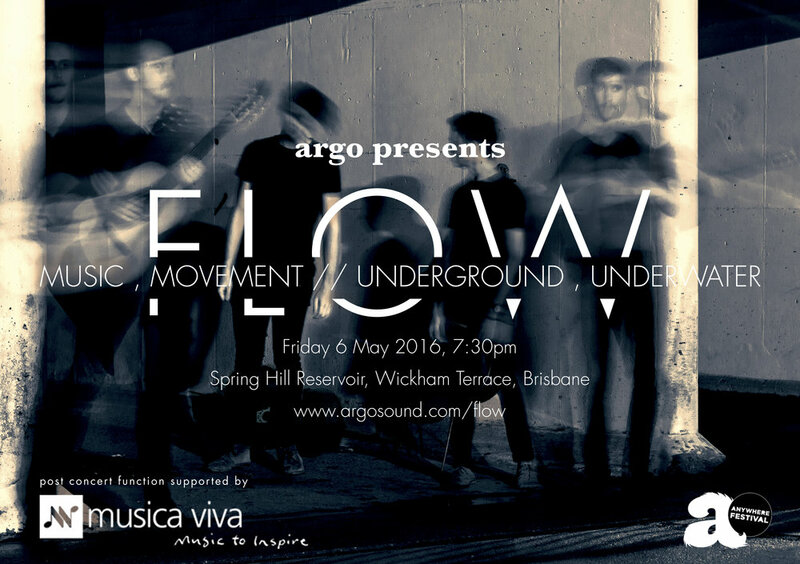 Spring Hill Reservoir // 6th of May, 2016 || The dark underground setting of an old water reservoir became the setting for argo's fifth concert: FLOW, presented as part of Anywhere Festival 2016. FLOW's music took inspiration from the water that used to fill the performance space, and specialised acoustics of the venue. The program featured works for acoustic and electric guitars, violin, and viola, all accompanied by live signal processing and soundscapes by Ben Heim. This performance sought to create a kind of "down the rabbit hole" experience with four channel video projected on the walls of the reservoir and lights guiding the audience through the venue's maze-like lattice of chambers. The Red Box, SLQ // 9th and 10th of September, 2016 || Performed as a part of Brisbane Writers Festival, and in conjunction with Queensland Music Festival, argo presented ILLUMINAE: a surround sound space opera brought to life by three voiceover actors, solo cello, string orchestra, and electronics. The 60 minute piece was based on the New York Times bestselling novel Illuminae by Amie Kaufman and Jay Kristof. Actors were recorded performing dialogue between lovers Ezra and Kady, and an artificial intelligence called AIDEN. The recorded parts where then manipulated and translated into surround sound, then combined with music to give the audience an experience akin to having the novel explode around them. In the live performance Ben conducted the orchestra while gesturally controlling electronics with a 3D motion tracking device paired to his left hand.